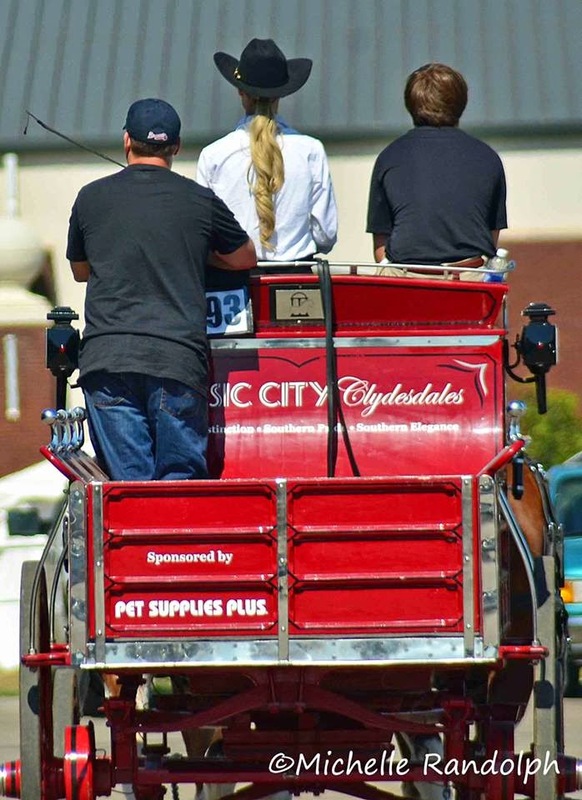 Classic City Clydesdales is a family owned and operated breeding facility where the primary focus is breeding top quality Clydesdale horses for work and show. We have invested not only the time in researching, but also the copious funds necessary to institute an impeccable breeding foundation. We are not a "production breeder!" We do not breed to inundate the market with un-saleable horses. 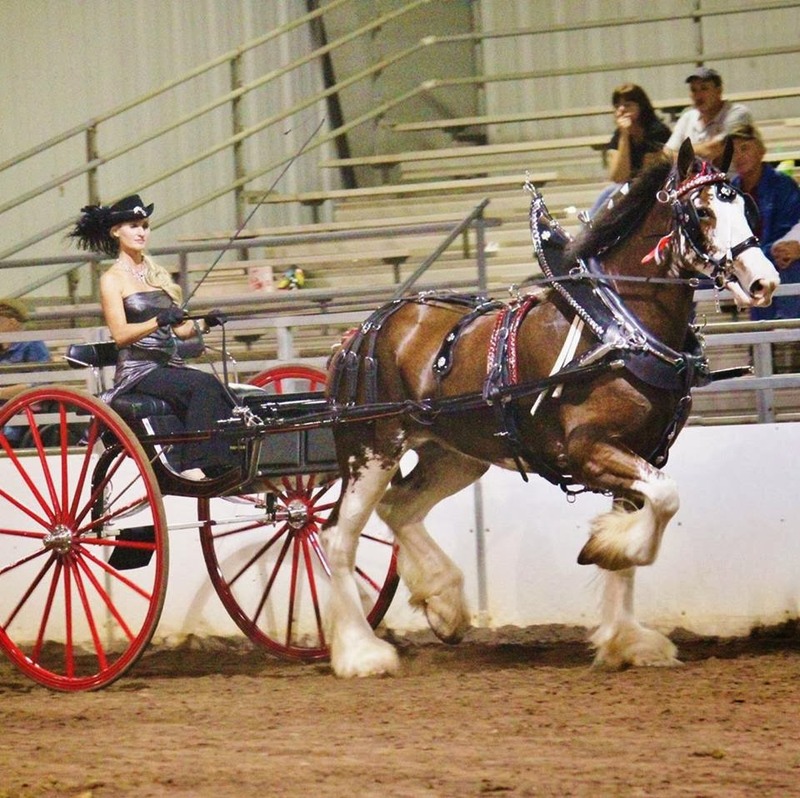 We do have "occasionally" a horse that can be placed inexpensively due to old age or physical limitations. But, keep in mind when you shop with us "bargains" are not our forte. Also, we do not AND will not sell horses to inner city carriage companies that don't have the means or know how to care for one of our animals. 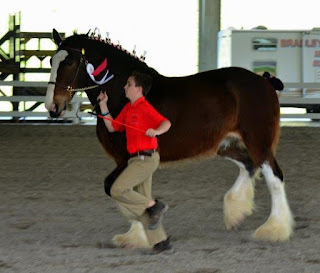 If you do not have the interest in learning everything there is to know about taking care of a Clydesdale horse and making them a member of your family then we are not your supplier. 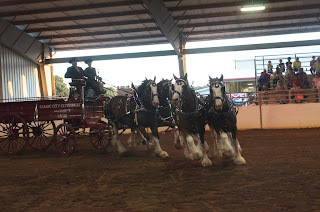 We have had our fair share of "repairing broken minds and spirits" and will take in hard case Clydesdales occasionally from the right situations. Our dream started in 1998 with the purchase "at sale" of a Clydesdale stud colt named Sampson. We had no way of knowing that this horse would change our lives. 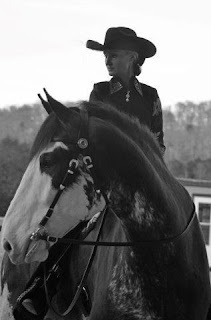 Having grown up with Quarter Horses and Paint Horses this exquisite, majestic creature was amazing to the eye and soft on the heart. We fell in love with this noble breed immediately. 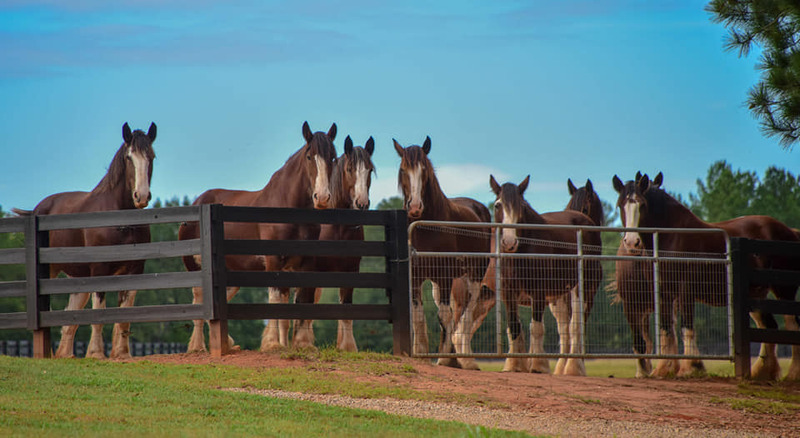 It is our sincerest hope to improve the quality, longevity and hardiness of the Clydesdale horse through well planned breedings and careful stewardship. We have searched all over Canada, the US and Scotland for our foundation animals. In our opinion we have acquired some of the best quality blood lines available. It is a "family affair" at Classic City Clydesdales. Shannon Martin oversees the day to day operations on the farm alongside Mark Martin, and Felipe Tenorio. 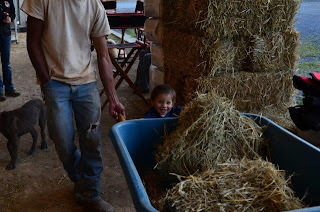 Each team member plays their part and brings to the farm a unique set of skills and ideas. Felipe is indeed our "horse whisperer!" Felipe has a natural love of our horses and works daily with our foals, yearlings and young stock. When they leave our farm they are sociable, well handled and truly enjoy their human experiences. He is quiet and solid and we are lucky to have him here on the farm. Freddy learning a little patience early. 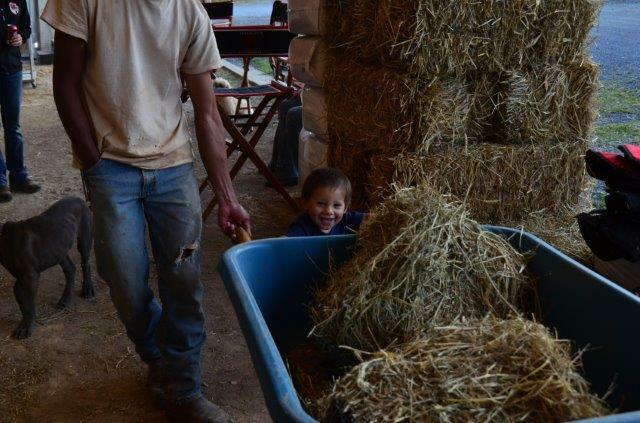 Felipe and his son Johnathan (a future Horse Whisperer) helping at the show! 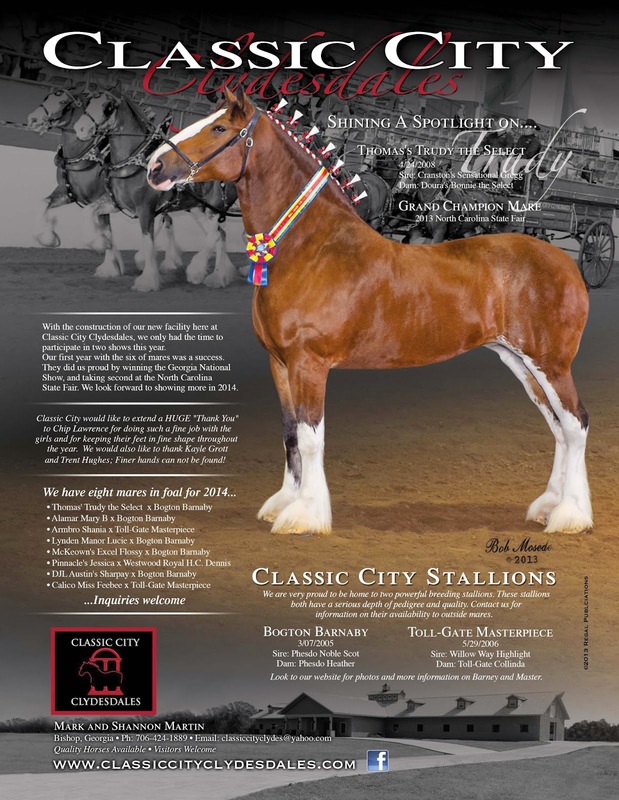 At Classic City Clydesdales we have a number of quality breeding stallions. 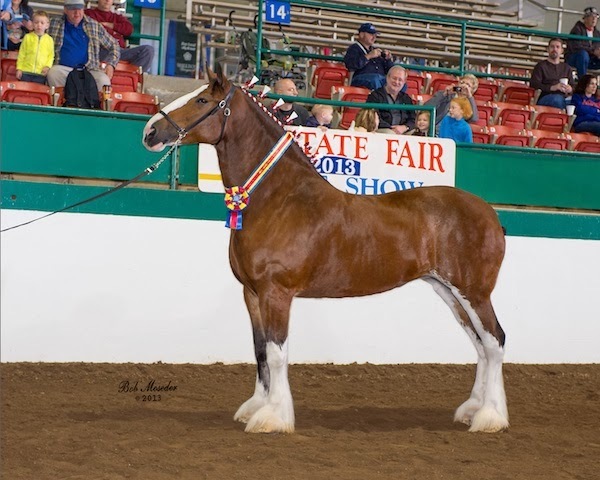 Zorra Highland Captain, 2S Barnaby's Collossal Latch, Sandy Ridge Kayden and Luis Armstrong of Classic City have all been selected for the traits they will provide our mares. 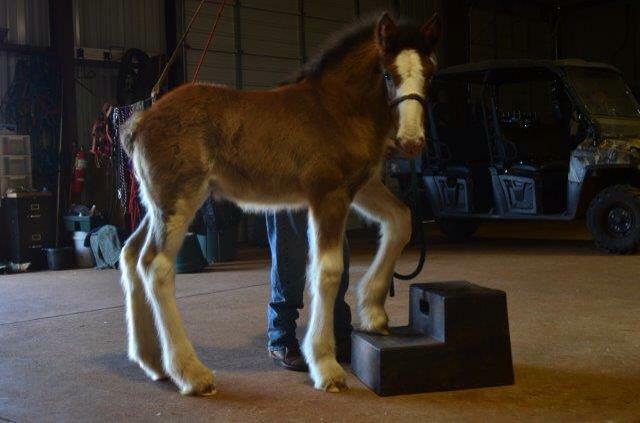 We've recently purchased Parnell Ranch Protege Peyton in hopes he grows into a fine stallion. Each stallion is a genetic powerhouse with strengths that enhance each of our mares. 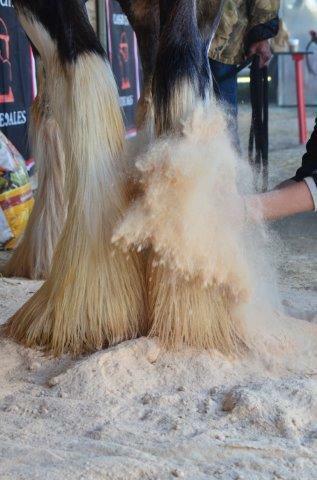 Our boys pass on temperament, feet, hair and beautiful toplines as well as monster front ends. Each of our mares have been carefully researched for breeding soundness as well as show potential in their own right and each mare is carefully matched to our stallions to enhance their already fine qualities. 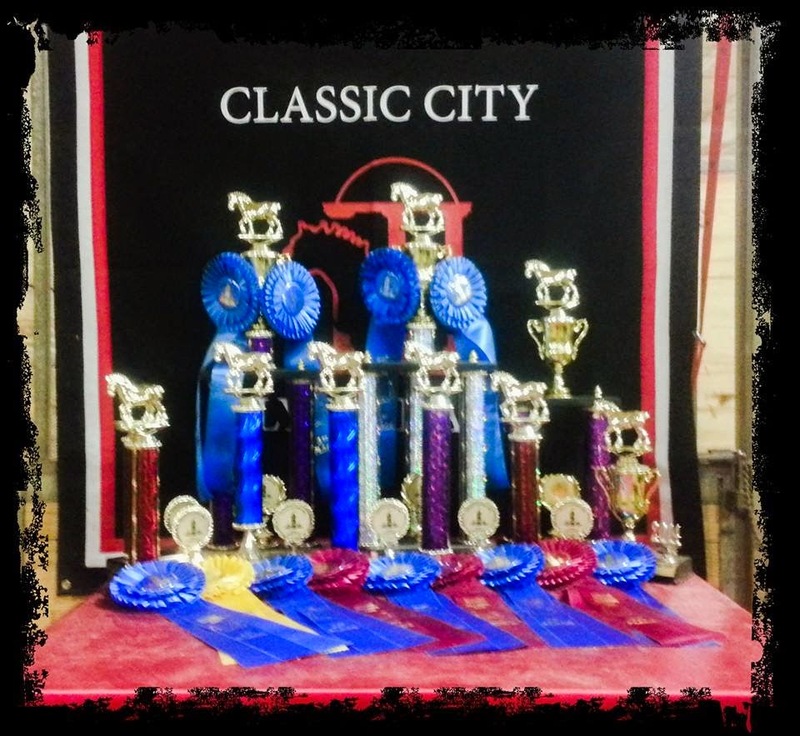 Here at Classic City it is our utmost wish to improve the breed by selecting impeccable mares and then improving them by way of the stallion. A mare at Classic City is treated as the Rock Star she is. They receive the best feed, best care and best housing money can buy. We've often been told that people wish "they" were a Classic City Clyde! Our mares are our foundation; without them, there would be no "US!" A few of our "Rockstars"
Gearing up for the 2018 World Clydesdale Show in Madison, WI. We hope you will join us! A FEW SHOWS WE ATTEND! 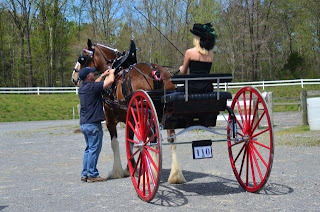 Our horses show in hand, in harness and under saddle. The Clydesdale horse is a very versatile breed that can excel in many different disciplines from Western to English and even Dressage. Of course each horse is an individual and suited to each discipline as he/she is put together. When showing we try to take each horses attributes into consideration and select events that will showcase their individual talents. 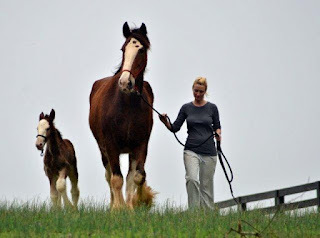 We start evaluating each horse from birth based on conformation, temperament and movement. Mark making sure everything is "just right!" Getting Barney ready to go! If you are interested in learning how to prepare and show your Draft horse we can help. 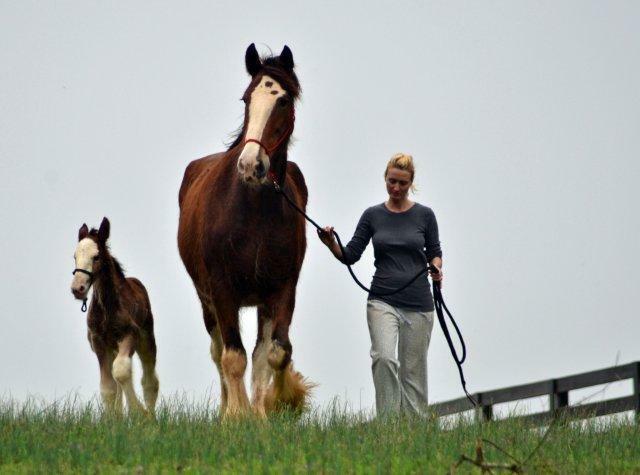 Classic City Clydesdales has yearling foals, young prospects and aged broodmares available for purchase to great homes. We had 6 foals in 2018 and are currently welcoming our 2019 foals. Contact Shannon Martin for more information. Classic City Farms is situated on over 225 Acres of pristine North GA hill country just outside of Athens, GA. It is a mix of pasture land and wooded trails with a fully stocked 3 Acre pond and 1/2 mile on the Apalachee River Shoals. It is truly a horseperson's dream and we are lucky to call it home. We offer farm tours and trail rides as well as overnight accommodations in our Guest Lodge. 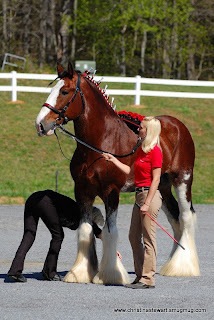 Want to receive email updates from Classic City Clydesdales? Enter your email below!